One hundred years ago, as the First World War was coming to a close, one of history's worst pandemics was sweeping the globe. 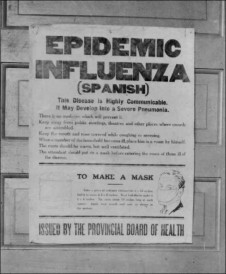 Spanish Flu, so named because WWI-neutral Spain were the first country to report openly on the outbreak, caused the deaths of up to 100m people in 1918, about 5% of the world population at the time. A BBC documentary, first broadcast last week, highlighted the efforts of Dr James Niven, medical officer for Manchester at the time, who was the first to introduce preventative measures that slowed the spread of the disease, saving many lives. Sir Arthur Newsholme, a senior health advisor to the British government, recommended that no action be taken against the pandemic as munitions factories and public services needed to remain open to help with the war effort. But Niven was seeing the full force of the flu in Manchester as northern cities were more severely affected due to their crowded nature as a result of industrialisation. He reccommended that schools and cinemas be closed to reduce people's proximity to each other and published leaflets that were displayed around the city, advising residents on how to reduce the risk of becoming infected. Public health authorities should press for further precautions in the presence of a severe outbreak. The documentary also highlights the plight of schoolgirl Ada Berry, who survived being infected but lost both of her parents to the Spanish flu. She represented a typical demographic of flu survivors and over the last century, a lot of research has been done into why the pandemic killed more young healthy adults, when the reverse is usually true of diseases. The reason for this is known as a 'cytokine storm.' This occurs when a strong immune system attempts to fight a virus, but unwittingly damages the body beyond repair by doing so. People with weaker immune systems are more likely to become infected, but without as much interference, the virus runs its course and the patient usually recovers. All of this information, a lot of which started with James Niven and his team's stastical analysis of Spanish flu, makes doctors more prepared to fight a pandemic if it happened today. With greater understanding of how to prevent a virus spreading and better medical technology to fight an infection, it could be argued that Niven is still saving lives today. However, with today's ease of travel with regular flights across the world, a virus could spread and become a pandemic before health officials knew what was happening. 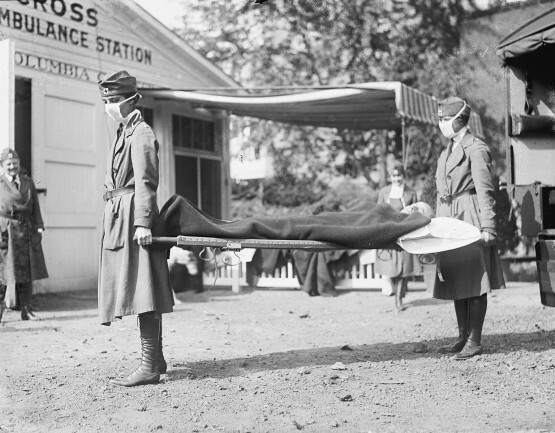 It is estimated that a pandemic as deadly as Spanish flu would have a 1% mortality rate today. That might not sound like a lot, but each person on earth would be statistically likely to personally know at least one victim by name in the event of a global pandemic. Viral pandemics tend not to last long, as viruses evolve to not kill their hosts, increasing their chance of spreading. With outbreaks of swine flu and avian flu over the last 10 years in Britain and the recent ebola crisis in west Africa, the risk of a global pandemic is ever more in the public consciousness, so perhaps the medical advice of Dr Niven is more relevant now than ever before.